Gainesville, GA– GRE Alpha North America, a designer and manufacturer of LED power supplies and systems, has added America II as an official distributor of their products. The Atlanta area center is part of GRE Alpha Electronics, Ltd. This marks the international firm’s seventh distribution outlet. GRE Alpha Partners with Chip-One-Stop Inc.
HONG KONG – GRE Alpha Electronics Ltd., a designer and manufacturer of LED power supplies and systems, has partnered with distribution company Chip-One-Stop Inc. The online distributer of electronic components operates chip1stop.com, an online shopping site that allows their customers in electronics industry to access selected stocked parts within their components database. A leading manufacturer of LED power supplies, GRE Alpha focuses on adaptable drivers and LED power supplies that can be used across a variety of lighting technologies. Their easy to install products can be integrated into existing lighting systems seamlessly. Their reliable driver systems can be used across wired and wireless platforms for the widest range of lighting capability. With the success of their products in the global market, they are pleased to expand accessibility of LED drivers and accessories their products within the Japanese LED power supply and accessory market with their partnership with Chip-One-Stop Inc. Along with last year’s opening of GRE Alpha’s Tokyo office, the agreement solidifies GRE Alpha’s commitment to the Japanese market. This partnership will allow GRE Alpha to grow their customer base in the growing Japanese market where they can display products like there GLD-DIM1-DALI and the SLD-DIM-PWM-5A alongside other quality electronic components and semiconductors. Chip-One-Step has a strong inventory base that serves as an asset to GRE Alpha in serving their online customers. GRE Alpha is committed to providing innovative products, and with over two decades of power conversion experience, then intend to continue to provide the superior LED power supplies and lighting control accessories for LED lighting systems. Providing their customers with quality products and engineering support is paramount, and with their partnership with Chip-One-Stop, they are excited to be able to extend this philosophy to their Japanese customers. 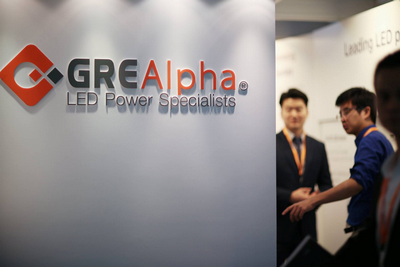 GRE Alpha is committed to innovation and to delivering high-quality, leading-edge LED lighting solutions. For more information about products, or to speak with a GRE Alpha product expert, visit the enquires page.